Talk about nonsense – is every bad habit and character weakness an addiction? Do all excessive behaviours automatically come with rehabilitation institutions complete with specialists trained to cure us of our bad habits? Its seems so. Now instead of coke, heroin, booze, and speed young Lindsay Lohan is being treated for “social networking addiction” to Email, Facebook, and Twitter! Contact music reports “Lindsay is only allowed to use her phone for two hours a day, and only to keep in touch with family and close friends. “Before, she would repeatedly and compulsively email her friends if she was ever in a situation where she felt lonely, and she would vent on twitter.” The policy has been implemented so Lindsay can “concentrate on herself” during therapy. Under the strict governance of the panderers at Betty Ford, Linday Lohan has had her phone time limited to 2 hours per day. Can you imagine the hardship? Can you just she the poor dear going through horrible withdrawal symptoms, screaming and crying – clawing at the phone booth – attempting to sneak cell phones past the guards and all sorts of desperate behaviour as she tries to circumvent the institution’s attempts to cure her of this dreaded disease! No more venting on Twitter for Lindsay say her therapists – they want her to “concentrate on herself” so she can deal with the real issues facing her. 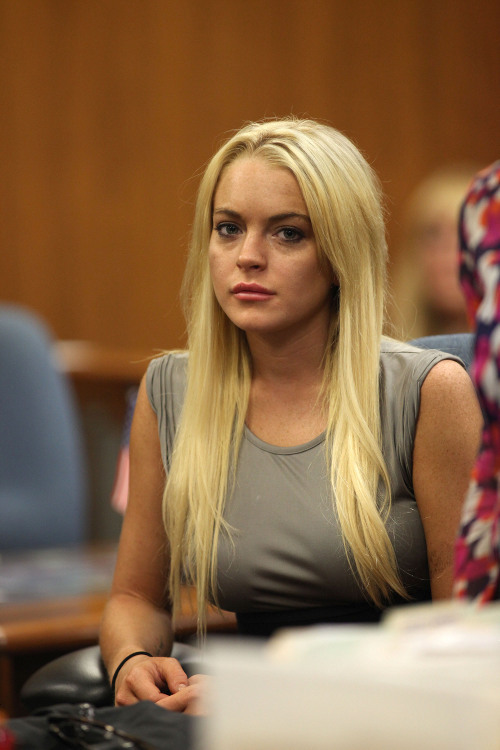 Its kind of strange – I thought Lindsay’s primary problem was that she concentrated solely on herself. Oh well, what do I know. I’m probably in need of some rehab.